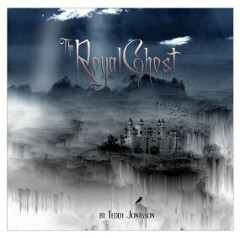 I talked with a composer Teddy Jonasson from Sweden about the album The Royal Ghost that was released on Februray 2010. Well, this is not a real band, but still we, so far, had the same line-up on the concerts and during the recordings. We have some guests on the record though. We wanted to find talented musicians in the neighbourhood, and after we made the demorecording of the song – Forever Mine - it all started working out as we wanted. First we thought we had to have auditions but it wasn't necessary. We found the musicians or singers we wanted, we asked them and everyone but one said yes. Everyone for the same reason. They loved the music and the operastyle. So the casting was all made in a few weeks from when we really started looking. I have seen some rock musicals and a rock opera by Dollie de Luxe from Norway. 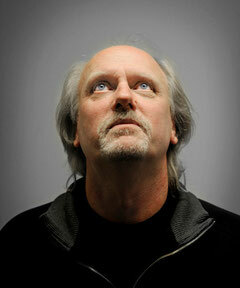 Where did your idea of the rock opera come from? I was a songwriter amateur when I started this work in 2006. Me and my two daughters Emina and Henny planned for a familymusical with 6-7 songs. I started writing and after three or four months it was more than 10 songs. I've always made stories around my earlier songs, and here was the ultimate genre of creating a story in music, so I found it rather easy making this. After some more months I met a professional songwriter/producer and asked if he could listen to my songs and give me some ideas how to make better ones. He listened to it and said he had only one advise. Just finish the compositions 'cause it's so damn good! So I did and now I’m no longer an amateur. I've already been asked making music for a new rockopera, and I started the work some days ago! Could you tell us the summary of the story in your album simply? On the album you only hear 9 songs out of 29, so it's impossible to hear the story in the album. But the story is about a princess living in a castle and a ghost living in the same castle. They both are feeling very lonely and have no real friends. The ghost decides to show himself to the princess and they become friends. Neither the humans or the ghosts like this and it is close being a war between the humans and the ghosts. As in every saga it is a happy ending and they all accept each other and humans and ghosts lives together. It is really about what you see in real life today in many places of the world, different people though, and I hope it works out as well as in this story! How and where did you record those tracks? What was the most hardest thing on the recording? First we made the background in PlayYard Studio in Stockholm. Drums, bass, guitar, piano. We planned for six songs. One to each of the singers, but it went on rather well and in the end we had nine songs. We took this backgrounds to the town of Falun, hometown of the great symphony orchestra Dalasinfoniettan. In a bit more than one day they recorded their part on six tracks. It was a fantastic experience hearing these faboulus musicians playing my music so beautifully. It is a completely different feeling with a real orchestra than a programmed syntheseizer. After this we mixed the sound of our backgrounds and the symphony-orchestra together in the studio. Then it was time for the singers to enter PlayYard Studio. They all came and recorded their parts. Also some of the solos were made there, and some solos and other additional things were recorded in a smaller studio at home. Then it was time to put it all together in the real final mix. This was all made in PlayYard Studio. It was hard work, but now, at last we have the album finished! I think the hardest part was to make it possible for the listener to hear all the instruments in this, almost impossible mix. Of what I've heard so far, we made it. People are telling us so many kind words about our music, and the sound of it. Some say it is including some of the best songs they've ever heard. Feels great! Is there any special musical instrument you used for the album? I wrote most of it on piano. I even played most of the guitarparts on piano, and then made my final demorecording with real guitars. I also sing the whole opera on these demos, and hearing me taking the female highpitch vocals are not that wonderful listening to, haha! On the album we use some, not that common instruments, as in the song 'Running Out Of Time' - we have keyed fiddle, an old nordic stringinstrument. We also use accordion on the same song. Not what you normally hear in rockrecordings. We also use flute, and in the orchestra there are a lot of unusual instruments for rock recordings. Thats what this is all about, making a crossover between melodic metal, classical music, real opera and folkmusic. Not that easy but a very interesting challenge! You have a lot of members (singers and players). You must need a large venue such as a theater for the show. What kind of place do you usually play? So far we have only made two very succesful concerts, called appetizer concerts. 12 musicians and 6 singers on stage. We have played 19 songs from the opera, and had a pre-recorded storyteller in between the songs telling the story. If you put the whole opera together its 11 singers in the play, so you need a theatre or a big stage. When we go on tour I guess we need a lot of backtracks, or the organizer letting a local symphony orchestra play together with us. Big, but worth it, I'd say! Currently do you have any plans for a world tour or something? We have a lot of plans. Right now we're planning for an outdoor concert in August, and maybe playing a smaller theatre for some weeks later in the autumn. Now we are talking of setting up the whole set. A world tour is a big thing to organize, but there are lots of fans asking for it, so if we have the right back-up, it's really possible. Where can people get your copy in out of your country? Right now they can order it through our homepage on MySpace just mailing. We are waiting for a good deal, but we think we have such a good product we won't take any offer coming up, and we've already had some. Maybe we start our own recordlabel, and then use some good distributors! I think this could happen any day. Would be nice finding a good distributor in Japan for example, 'cause I think our music have great potential growing big in Asia. Could we have a message to your Japanese fan? I've been to Japan once. To Sapporo, in 1981 as a cross-country skier! I would love to see this wonderful country and kind people again. We are also planning to start the recordings of new songs from the opera soon... During these recordings we also plan to record 'I'm alive' - in japanese, though the singer playing the princess, Mio Jäger is Japanese. 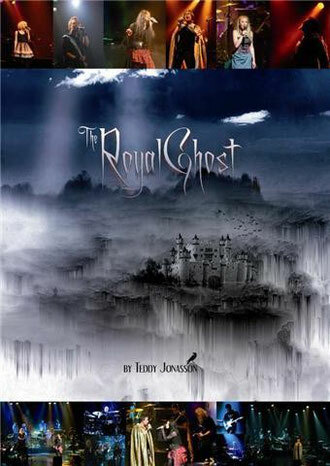 Right now I just say: -Help us making The Royal Ghost big in Japan, and we will meet you on our world tour!! !